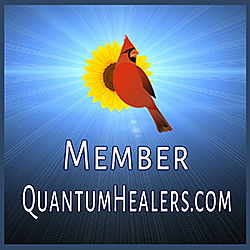 Kindred Being-Kindred Being's Blog-What Is Beyond Quantum Healing And How Does It Work? What Is Beyond Quantum Healing And How Does It Work? Have you ever felt so connected, so serene, so relaxed and in that moment everything made sense and ideas and concepts began to flow with inspiration? What if this relaxed state and clarity could be accessed at will? This is what Beyond Quantum Healing provides for humankind. Beyond Quantum Healing is likened to a deep powerful meditation that completely relaxes, and allows you to release all limitations. When we truly let go of all of our blockages to connectedness, we allow ourselves to receive that which we seek. Because we are all connected to everything there is through energy, the information is always present. Beyond Quantum Healing allows you to release blockages and assists in accessing this limitless information. This form of quieting the active mind through relaxation, and unlocking the subconscious mind is considered hypnosis. A person who is highly practiced with meditation can achieve these levels of consciousness and receive universal knowledge. But, Beyond Quantum Healing brings these experiences to all. During a Beyond Quantum Healing Session, you are induced into hypnosis with beautiful and powerful imagery, breathing and energy movement techniques. Then the journey begins. You start to receive images, feelings, or knowings. You are most often brought to a past life where the facilitator’s questions will guide you through this previous life as well as get to the lessons it has for you now. Your life between lives is often visited where information about what happens when we die comes through. Then a high vibrational being either steps forward or is brought forth to answer your questions. Questions can be answered on any subject. Energy healing is experienced and when complete, you are brought back to everyday awareness and grounded back into your body. Let’s examine what hypnosis is by looking at our brain waves and states of consciousness. Our brains emanate frequencies of energy according to our states of consciousness. These electrical pulses are called brain waves. These brain waves are measured by the rapidness of each pulse or cycle per second. These cycles are called frequencies and measured in Hertz. 10 pulses or cycles per second are equal to a frequency of 10 Hertz. The more cycles per second, or hertz, the more alert your active mind is. The first state of consciousness to examine is our alert thinking mind. This is a state of consciousness you may experience while setting your attention on solving complex problems or completing dynamic tasks. When you are completely engaged, you are emanating Beta waves. Beta wave frequencies are between 12.5 and 30 Hz. They look like this. This is what we might call the conscious mind. This is the state of being that allows us to interface and interact with our material surroundings. This is the part that is relaxed and quieted during hypnosis. Quieting this active state permits the other states of being to be experienced. The next state of consciousness is the relaxed yet aware mind. This is a relaxed awake mind. You might experience this when you are resting with closed eyes but not asleep. This state is associated with a creative and clear mind. In this level of consciousness, you are emanating Alpha brain waves. Alpha brainwave frequencies range between 7.5 to 12.5 Hz. They appear like this on an EEG test. The Alpha state can be experienced during hypnosis and is considered light hypnosis. The Beta state or active mind is partially quieted and some clarity can be achieved. Then we have an even more relaxed state of being where your conscious mind (beta) is running in the background and your subconscious mind is most predominant. You can experience this state when you are performing repetitious actions and your mind wanders. Many are in this state when they are cleaning, exercising, on long drives, etcetera. Your body is on autopilot and your mind is daydreaming. Thoughts, ideas, and inspirations are free flowing without the censorship of your beta mind. This can also be experienced when you are drowsy, sleeping lightly, in meditation or hypnosis. When in this state of consciousness, you are emanating Theta brainwaves. Theta brainwave frequencies range from 4 to 7 Hz. This is what Theta brainwaves look like. The Theta wave state of consciousness is considered to be deep hypnosis. In Theta, your dominant mind is unconcerned with the functions of your physical body. Your mind is free to explore unencumbered. You are able to directly receive answers and information freely. The next state is considered to be somewhat of an anomalous state of consciousness. It is measured less by the number of pulses per second and more the the rhythm and range of each pulse. In a study done with electrodes of Tibetan Buddhist monks during meditation,“ their brain activity began to fire in a rhythmic, coherent manner, suggesting neuronal structures were firing in harmony” ”These gamma-band oscillations in the monk’s brain signals were the largest seen in humans (apart from those in states such as seizures)”. This state of electrical harmony can be achieved with long-term meditative practice and is called Gamma brain waves. Gamma brainwaves are measured between 25 and 100 Hz, although 40 Hz is typical. Gamma waves appear like this on a EEG test. The Gamma wave state of consciousness is observed during deep meditation while evoking a feeling of objective compassion. Let’s explore the next state of consciousness where awareness of the body is completely turned off and the mind is freed for limitless exploration. Most of us experience this state while in deep sleep. This is an unconscious dream state. With deep meditative practice, some can embody this while awake. In this state, one would emanate Delta brainwaves. Delta brainwaves range in frequency between 0.5 to 4 Hz. Delta brainwaves look like this. Delta brainwaves are the lowest in frequency. A brainwave frequency of 0 is considered brain dead. In hypnosis, there is a term used for the deepest state of hypnosis. The conscious mind is vacant and the Client is most able to channel information clearly without limitations. This state is called Somnambulism. After a hypnosis session where the Client is in a somnambulistic state, there will be limited to no memory of the events of the hypnosis session. Somnambulism means sleepwalking. When we decide to go to sleep, our brains are likely in low beta. When we close our eyes we are in alpha. We then descend into theta and finally delta during our deepest sleep. What brainwave states should you expect to experience during a BQH session? Through physical and verbal cues and experience, the Kindred Being Beyond Quantum Healing facilitators have witnessed most if not all of the states of consciousness during Beyond Quantum Healing sessions. Each session and result is individual. Most often, the Client will cycle through the many types of consciousness. The Beta mind is usually silenced for the duration of the session but may also come through from time to time. The Client is in complete control and can bring forth their active beta mind at will. The Alpha state is achieved during preparation and induction. The Theta state is where most of the Client’s journey takes place. This is where free and clear connection to data and answers can be unlocked. The Delta state may be present for periods during a session as well. The Somnambulistic state is often experienced marked by the Client’s loss of memory of the details or the entire Beyond Quantum Healing Session itself. For this reason each Session is recorded for the Client’s use to integrate the information received during a session. In a study done by the Stanford University’s School of Medicine and published by Cerebral Cortex, through brain scans performed during hypnosis, they discovered that particular parts of the brain are active and inactive when under hypnosis. This explain the hypnosis experience. Distinct sections of the brain have altered activity and connectivity while someone is hypnotized. First, they saw a decrease in activity in an area called the dorsal anterior cingulate, part of the brain’s Salience network. The dorsal anterior cingulate is an area of the brain that helps to promote motor control. “In hypnosis, you are so absorbed, that you’re not worrying about anything else” says David Spiegel MD, professor and associate chair of psychiatry and behavioral sciences. What they detected next was a connection between two parts of the brain, the dorsolateral prefrontal cortex and the insula. The dorsolateral prefrontal cortex is responsible for regulation of thinking and action, memory, and executive function. It also is in charge of applying complex rules, and algorithms to convert stimuli into responses. The dorsal pathways supported by the parietal cortex, is “the how system” determining which tasks should be executed. This region is most active when the benefits of each alternative rather than an emotional response in considered. Activity in the left dorsolateral prefrontal cortex is extremely diminished in those with major depressive disorders. The activity of this area in the brain during hypnosis signifies access to the objective mind as opposed to the emotional mind. The insula plays a part in our everyday activities. 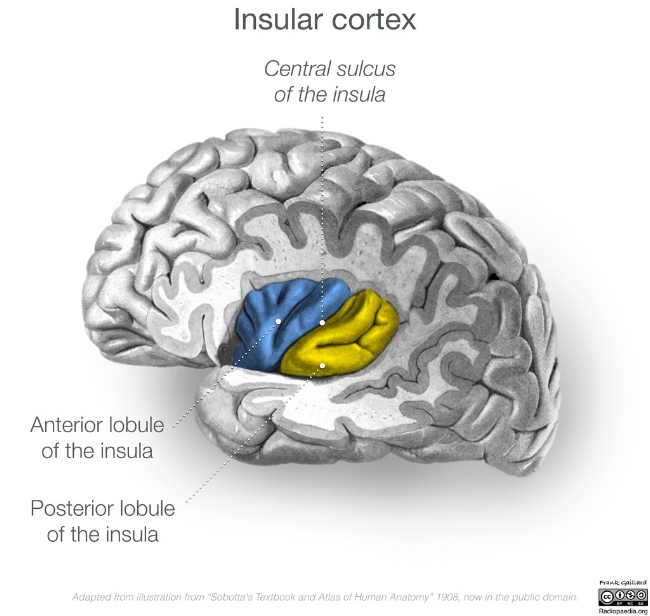 The insula facilitates our concept of self awareness. This would include awareness of our bodies, and our emotions, and how they interact to create our perception of the present moment. This concept is detailed by Antonio Damasio in his Somatic marker hypothesis and later expanded upon by A.D. Craig. He proposes that the insula gathers all of the data of the present moment including subjective emotion and in turn creates a “global emotional moment” that assists in our decision making. This is what many call our gut instict or our intuition. The connection of the dorsolateral prefrontal cortex as well as the insula and the decrease in activity of the dorsal anterior cingulate during hypnosis details a state of intuitive observation and separation of the sense of self from awareness of ones body. In this article we’ve taken a somewhat scientific approach to the subject of what Beyond Quantum Healing is, our states of consciousness during a session, and what parts of our brain are active. This information lays the groundwork for the Beyond Quantum Healing process. The possibilities during a session are limitless. If you’d like to know more about what is possible during a BQH session, read our session transcripts in our KBBQH session blog, watch our session videos, or stay tuned for future blogs on this diverse and fascinating subject. You can also find out what is possible in a session by scheduling an individualized Beyond Quantum Healing appointment of your own here, or contact us to schedule a free consultation. Participate in our Kindred Journey by commenting below. Receive our monthly newsletter to find out what's new and receive exclusive discounts.